If the claim has been filed with the mover, is it then subject to arbitration? Claims eligible for arbitration are disputes, typically involving the amount of the settlement offer, which can not be resolved between the mover and the consumer. For example, during a move a piano is damaged that you believe was worth $10,000. However, the mover only offers you $1,000 for the damage because the mover believes that the piano was partially damaged before the move. You may then request arbitration to work out the settlement. How much does arbitration cost? The Forum currently charges a fee of $400 to arbitrate most cases. Disputes over $10,000 are subject to an additional fee of 1% of the disputed amount. As the party instituting the case, you will be asked to pay $200, or half the cost of the proceeding (unless a different amount is agreed to by you and your mover), when your case proceeds to arbitration. If you would like to request arbitration of your case, you must submit a written request for arbitration. The dollar amount of your loss or damage claim. Often times, complaints that go through this process are settled before the actual arbitration process begins. Other than arbitration, what else can I do to make sure I am not taken advantage of by a Non-Professional Mover? Another step you may take in resolving a dispute between you and a mover would be to Contact the Florida Division of Consumer Services. When the Division receives your written complaint, they will then send a copy to the mover and ask them to respond. This is the moving company’s chance to state their case. The mover will then reply to the Division with a copy of the estimate and/or contract for services that you have signed, an explanation of the dispute, and any efforts that the mover might have made to resolve the situation. If the Division does not receive a response from the mover within 30 days of the complaint, they will follow up by sending the mover a second notice. Failure on the mover’s part to respond to this complaint, provided it is not a violation of the law, will result in the complaint being promulgated to other consumers when they call the Division with inquiries about that moving company. Once the Division has the mover’s response to the complaint, they will work to mediate the dispute. Depending on the circumstances of the situation, an investigator may be brought in to assist the Division with your case. If this occurs, the investigator will establish if the Moving company’s actions are within the law (i.e. Are they Registered? Do they meet the standard requirements of the law?). 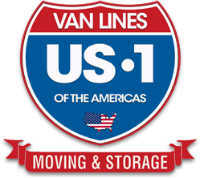 If, through this investigation, fraud or unfair trade practices by the mover is discovered the Division will then prepare an investigative file and seek prosecution for violation of the law. What the Division publishes in result of the situation is based on your approval or disapproval. The Division will mark the complaint as “Resolved Satisfactorily” indicating that you are pleased with the outcome; “Resolved Unsatisfactorily” indicating that the mover made an effort to resolve the dispute but that you were still displeased with the outcome; and “Unresolved” indicating that the mover responded to the complaint but made no attempt to resolve it. These descriptions and their meanings will be shared with other consumers that inquire about the moving company. In the end, the responsibility of the Division is to 1) ensure that the mover is in compliance of the law; and 2) act to resolve ongoing disputes through mediation. The Division of Consumer Services welcomes all complaints, however, for interstate moves there is an additional step. If you are moving from one state to the other, or interstate, and out have a complaint, you will need to file it with the Federal Motor Carrier Safety Administration (FMCSA). Consumers may either fill out the Commercial Consumer Complaint form found on the FMCSA website www.1-888-dot-saft.com, or call the Complaint Hotline at 1-888-DOT-SAFT(1-888-368-7238) where a FMCSA representative will assist you with your complaint 24 hours a day, seven days a week. Your complaint will be maintained in the FMCSA’s database. If the agency determines that enforcement action is warranted, you may be contacted for additional information. Remember. To file a complaint with the FMCSA, you must be interstate moving. This process is not necessary if you are moving within Florida.